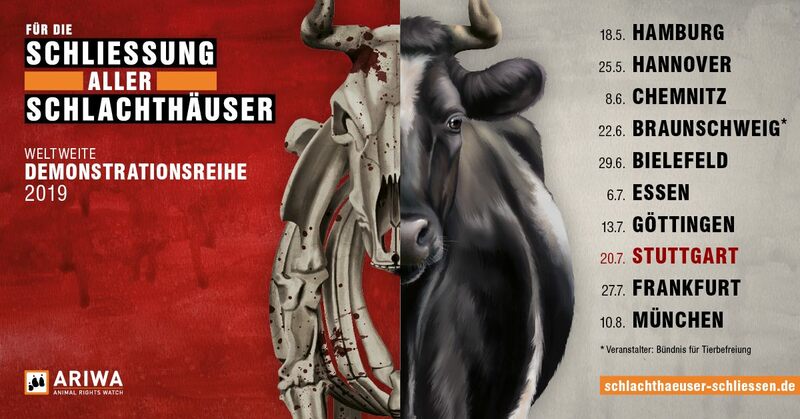 The march for the closing of all slaughterhouses is held in Stuttgart for the second time. Join us and let us show to the world that the time has come to end the killing. Our message will be heard clearly and will be explained to the public througout the demonstration. Join us and experience the strength of a movement that is fighting for change all around the world. The march is organized by Animal Rights Watch (ARIWA) .